I usually do not like to publicly criticize fellow Catholics, especially priests; however, I felt compelled to after the nonsense I have been seeing online. "Father Z" as he calls himself online is a so-called 'traditionalist' priest who blogs on Wordpress. 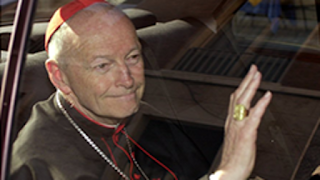 I do not know much about him but apparently he has bounced from diocese to diocese for whatever reason. He is often the 'go-to' man for rubrics and other things liturgical for some Catholics who enjoy his blog. However, this one post he wrote was sent to me by a Catholic Twitter user who later blocked me after years of following me for the sole reason that I disagreed with her. Anyhow, I found her critique and that of other Catholics absurd regarding the 'light show' entitled "Fiat Lux: Illuminating Our Common Home" at the Vatican. The display is sponsored by the World Bank. They called it 'profane' and 'sacrilegious.' Father Z also shared the same sentiment in a reactionary manner and it is clear that not once did he ponder about what he is writing. I will show why his post rings of ignorance. "I am trying to imagine what St. Peter would think about this. Based on his anger toward priests who misused sacred vessels and did not provide for the dignity of the sacred mysteries, I am trying to what St. Francis of Assisi would express at the use of the basilica housing the tomb of Peter this way. As I watch, there are different images of animals, bugs, lizards, birds with the corresponding critter noises, punctuated by sound effects, new age zings and zoongs. It’s like the LSD psycho tunnel at the Detroit airport. But… it’s St. Peter’s." 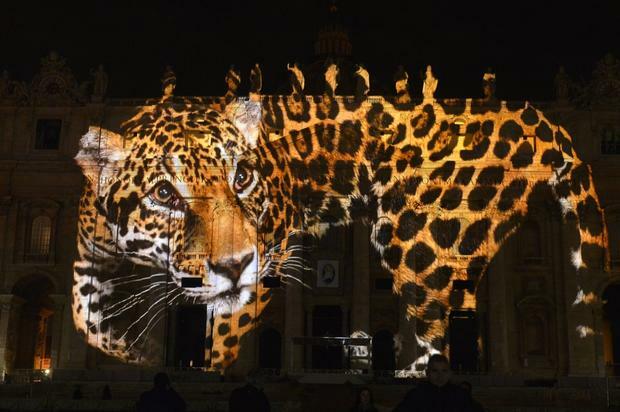 I think St. Peter and St. Francis of Assisi would not mind since both followed Christ and this light show was about saving endangered species and helping the poor which are things Christ would definitely advocate. 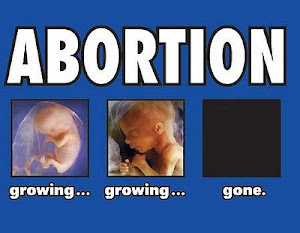 What saint would protest this? Nowhere did Christ say that His Apostles had to ignore God's creation. We are stewards of the Earth. Moreover, we have an obligation to care for the poor around world. 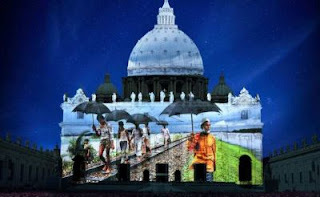 I am confident that the Vatican understood well the intention of this light show and approved it. 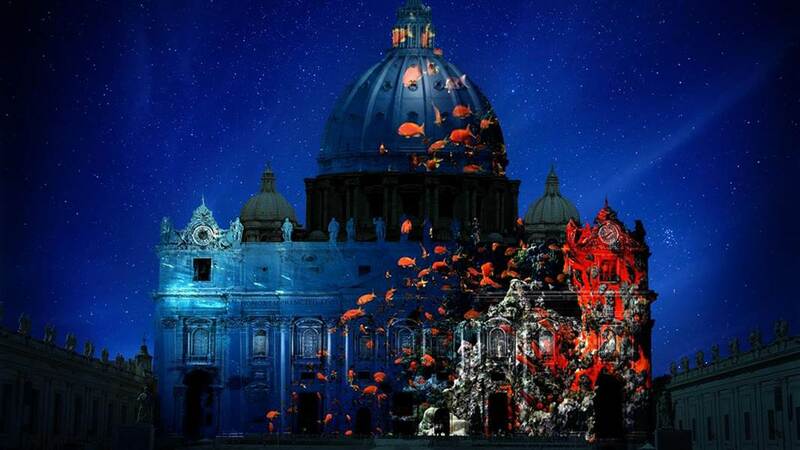 This light show was intended to bring more emphasis on the Pope's recent encyclical "Laudato Si." Sobrii estote vigilate quia adversarius vester diabolus tamquam leo rugiens circuit quaerens quem devoret cui resistite fortes fide scientes eadem passionum ei quae in mundo est vestrae fraternitati fieri… Be sober and watch: because your adversary the devil, as a roaring lion, goeth about seeking whom he may devour. Whom resist ye, strong in faith: knowing that the same affliction befalls, your brethren who are in the world." 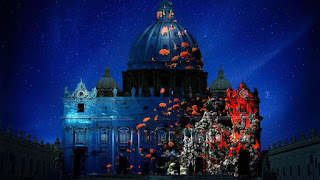 "The Vatican basilica is a consecrated building. This is a non-sacred use – in fact it is an irreverent use – of a consecrated building. 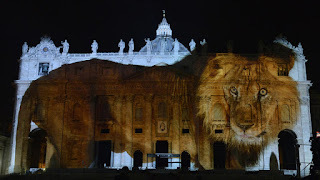 St. Peter’s is, without question, a sacred place and object (a very large one, too!). It is, without question, dedicated by the Church to sacred purposes. The use of this sacred building and place (where St. Peter was martyred and buried, a pilgrimage place, etc. etc. etc.) as a projection screen for mere secular purposes is irreverent treatment. Nothing in the Catholic dictionary states that projections cannot be placed on a facade of a church building. Moreover, Father Z has not established that this display is 'irreverent.' From what I remember, God's creatures were created by Him and called "good" (Genesis 1:25). Someone needs to remind Father Z that thinking of creation as 'irrelevant' is the heresy of Gnosticism which see all created matter as evil. 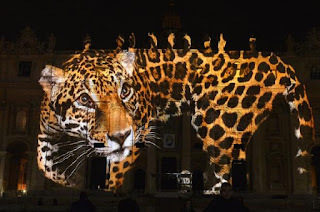 There is nothing irreverent about posting images of God's beautiful creatures which are endangered in order to covey the message of the encyclical Laudato Si. 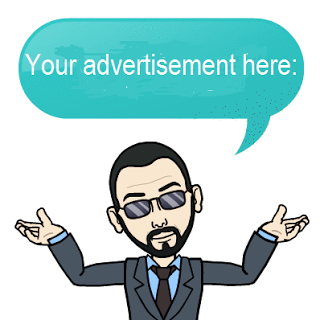 A real irreverent act is when bishops and dioceses have their appeals and have pastors play videos during Mass in order to get parishioners to fork over their hard earned cash to fund them. I find that irreverent, a misuse of sacred space, simony and sacrilegious. I think Jesus said, "You have made my house a den of thieves" if my memory serves me well (John 2:13-17). Why Father Z does not mention this as irreverent is beyond me. Then again, who pays his salary apart from the donations he receives from blog readers? "Along with images of the world and its endangered animals, including lions, birds, apes, and whales, appeared New Age symbolism associated with ancient pagan deities." I am embarrassed for Pete and Father Z for their lack of academic astuteness. The conflation of the depiction of endangered species with 'New Age symbolism' is ridiculous. Can someone tell Pete that the idea of a 'church building' or 'temple' is of Pagan origin? Moreover, so are statues! Emperor Constantine after his conversion handed over the Pagan temples such as the Pantheon to the Catholic Church. Guess what, we are using symbols and buildings from "ancient pagan deities." Ever see those shell images behind statues or shells used to baptize? Yes, those are of Pagan origin too. What about halos around saints? Yes, that too was borrowed from Pagans. Mind you, the obelisk in front of the basilica is also Pagan. The obelisk was built by Egyptians to honor the sun god Ra. Yes, Ra was a bird and man hybrid. Why no mention of these things from Pete and Father Z? Why pick on the Vatican and Pope? The ignorance is just astounding. There was a point in time long ago where priests were leaders in academia and science. What happened? Are today's clergy and lay people now scientifically illiterate superstitious naysayers? Seems Father Z is another one of those climate change deniers too... mama mia! Is the 'Z' in Father Z for Father Zany? God help us all. Here are some interesting and ill-informed tweets I received from Catholics who value right-wing fanatical nonsense more than truth. @Sacerdotus @Cdn_Catechist @WorldBank @DavidDoubilet it is not about His Creation its about profaning a sacred space. Thank you for this post. I didn't see anything wrong or profane about the show.